Fall shouldn’t make you nervous. 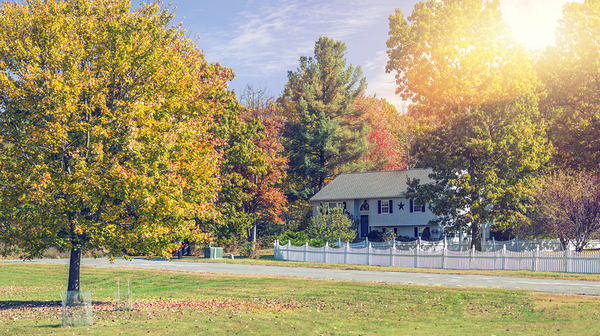 Choose a high quality gutter cover to protect your home. The leaves are falling or the blossoms are blooming. Whatever is in the sky, it’s going to get into your gutters if you don’t stay on top of your gutter cleaning. Luckily, Harry Helmet has the answer: a gutter cover. If you want your gutters to flow clean and clear during every month of the year, our gutter covers will help you keep the debris out and channel the water from your roof into your drains. The best part of having an effective gutter cover is that you don’t need to constantly stay aware of the state of your gutters. You know that they’re protected, so you don’t need to plan a cleaning after the latest wind storm. One way to tell whether you should invest in a particular gutter cover product is by looking at gutter cover reviews. Do gutter covers really work? When you look at gutter cover reviews, you need to look at the type of gutter cover they’re reviewing. There are many different types of gutter covers, and they work in different ways. For example, there are screens that cover your gutter and prevent large debris from moving into your gutters. However, these covers have received bad reviews over time, because debris accumulates on top of the gutter cover while fine sediment slips through. 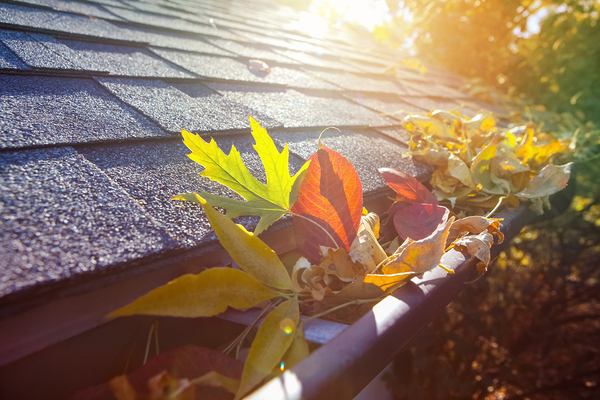 You end up with the same problem you had before: gutters that need to be cleaned. Solid gutter covers snap onto the gutters, so rainwater runs into a hole on the edge of the gutter cover. These covers work fairly well, but they have an important flaw: that little hole gets clogged with debris over time. Add a surface tension gutter cover and protect your gutters from leaves and blossoms. At Harry Helmet, we’ve chosen to use the power of surface tension to avoid gutter clogs and maximize performance. Water slips along the gutter cover and through a tiny gap into the drain, while debris slides off the edge of the gutter. Although surface tension covers tend to be more expensive than DIY products at $25 to $30 per foot installed, they also yield better reviews over time. This is because you don’t need to clean the gutters or install new covers or screens. When you’re looking at customer satisfaction with gutter covers, the longevity of the gutter covers matters. You want to be as pleased with your gutter covers five years from now as you are today. As you read gutter cover reviews online, look with an eye to customer service. You need an exceptional product, but you also need to know that you’ll be covered in case that product fails. At Harry Helmet, we use local installers who are well-versed in our gutter cover products. We’ve been in business since 1981, so we know that we have a process and products that work. Out of 100,000 past customers, 92% are likely to recommend Harry Helmet in the future. Working with trained, local installers, we’re here to answer your questions and correct any problems you might have. Our products come with a lifetime warranty on both materials and performance, so you know that even if you encounter a problem, we’ll be there to make it right. What makes Gutter Helmet gutter covers the right choice for your home? Our patented PermaLife™ coating resists fading, chalking and corrosion, and its textured surface is noted for its superior performance. Its nose-forward position has no vertical openings that allow debris to move into the gutter, and it’s a full-sized gutter cover that can carry away even the heaviest rainfall. Contact us today to learn more about Gutter Helmet.